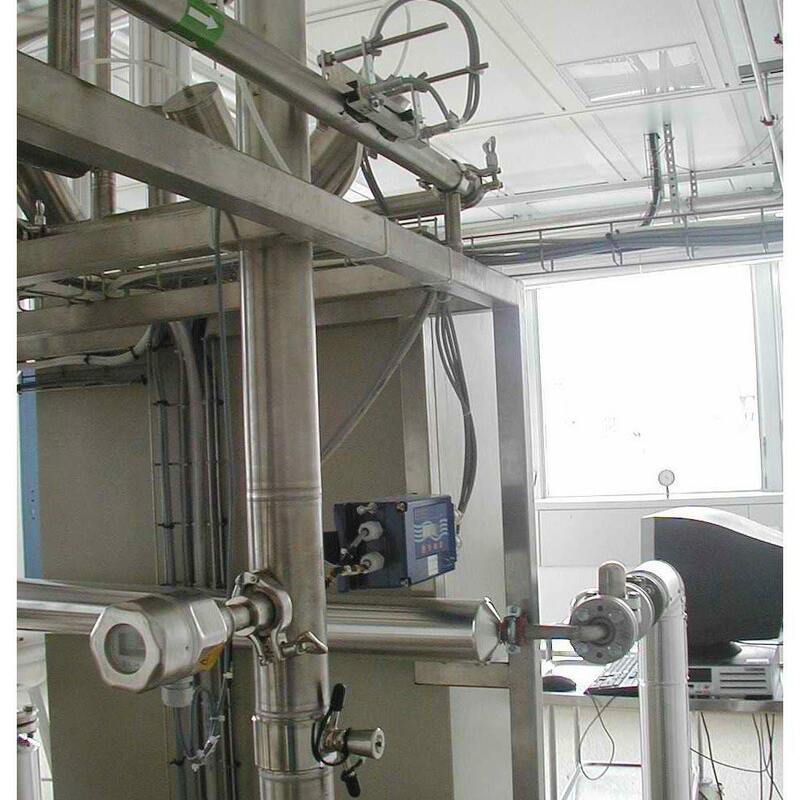 The pharmaceutical industry uses facilities with narrow pipes that can sometimes reach high temperatures. This is duel channel flow measurement for demineralised water production and distribution installations. Measurements are taken simultaneously on the flow and return loops. 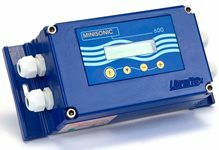 The flow meter checks compliance with the flow rate required for reasons of hygiene and therefore reports any clogging or leak. The pipes are made of stainless steel, with a diameter of up to DN100, and can reach temperatures of up to 100°C during cleaning cycles. Fixed converter to measure the flow rate in the two pipes. Use of two full kits (i.e. two supports and four probes) for a quick an easy installation. – Probe and pipe connection gel. The device provides a reliable and reproducible measurement. The installation is quick and easy and does not require production to be stopped. The entirely external measurement system avoids any pollution of the fluid and any loss of pressure. The dual pipe device can be accessed using the supervisory system via the currant outputs or the serial links for the Q1, Q2 and Q1-Q2 flows. Unlike electromagnetic flow meters, the non-conductivity of the fluid does not affect the ultrasound measurements at all.